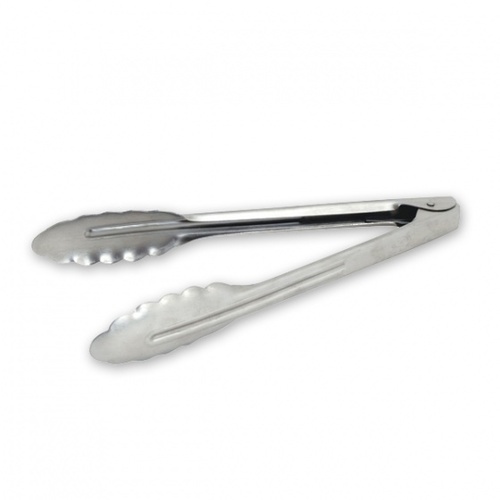 These heavy duty stainless steel tongs are ideal for general kitchen use. They are durable enough for even constant use, and are heat resistant. 230/300/400(L)mm. Stainless steel.